I have an update about the new textbook. The printers are printing but if you want a copy soon I think it is better to go direct to OUP. They are trying to get a special deal with the printer and the distributors. They are a little overwhelmed as there has been a huge number of orders in the last fortnight so they have increased the print run by 50%, which is both great news but also points to the need to get the resources into the hands of students. We are moving a pace to get the year 2 book complete. Thanks to all of you for hanging on in there. 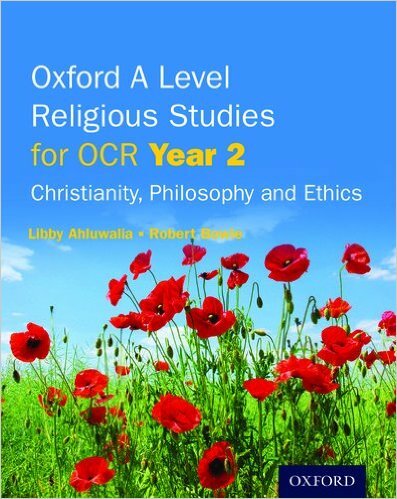 Well I find myself writing a chapter on conscience for the first time in many years for the new Book 2 A Level for OCR wit h OUP which will be out in Spring 2016. I did a quick search of my hard drive and realised I had written and presented on this four or five times, including a talk I gave at Stonyhurst school, in 2005 on Benedict and Conscience. After recovering from the shock of how long ago that was and just how much black hair I used to have. 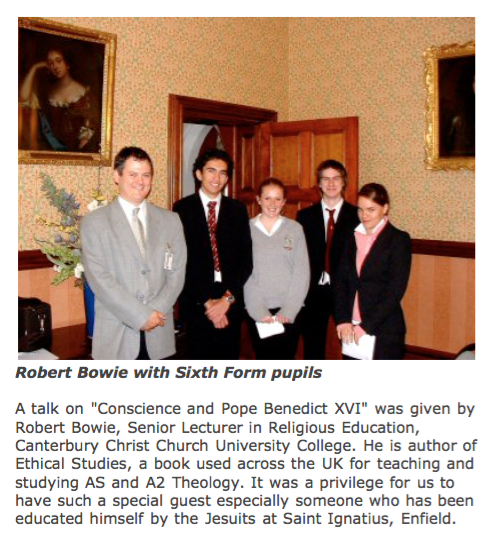 Bob Bowie at a talk in 2005 at Stonyhurst College, still with dark hair and rather more of it. Here are some quotes from Joseph Cardinal Ratzinger / Pope Benedict XVI that I used in that talk. “But at that moment they are caught up in the crowd.They are shouting because everyone else is shouting, and they are shouting the same thing that everyone else is shouting. And in this way, justice is trampled underfoot by weakness, cowardice and fear of the diktat of the ruling mindset.The quiet voice of conscience is drowned out by the cries of the crowd. Evil draws its power from indecision and concern for what other people think.” (Benedict XVI Good Friday 2005 – Reflection on the Gospel – the Crowd condemn Jesus. I found a copy here http://www.vatican.va/news_services/liturgy/2005/via_crucis/en/station_01.html). I wonder how much has changed in my own thinking over the years. I’ll let you know once I have finished the chapter. 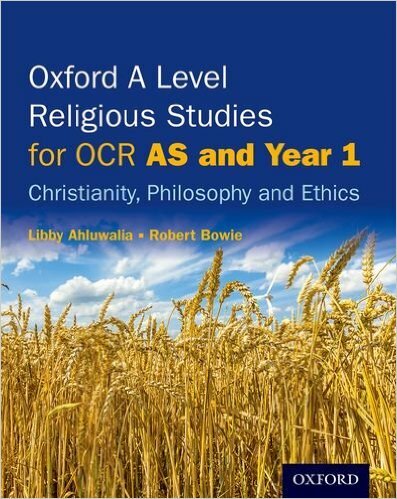 You can now read the online preview edition of Oxford A Level Religious Studies for OCR: AS and Year 1 Student Book, Christianity, Philosophy and Ethics. 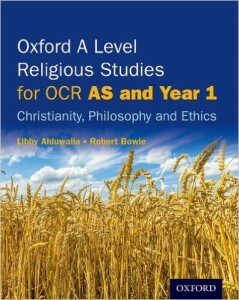 The Student Books for this course will be entered into an endorsement process with OCR. Nigel Biggar, Regius Professor of Moral and Pastoral Theology at the University of Oxford, and director of the McDonald Centre for Theology, Ethics, and Public Life, came to talk at Canterbury as part of our public lecture series. His title for the evening was 1914-18: Was Britain Right to Fight? It was a fantastic lecture followed by some interesting questions and he argued cogently for the justification of a just war. The starting point for just war self defence or the protection of the innocent? He distinguished Christian just war theory as having a different starting point from the analytic philosophy starting point. The analytic philosophy starting point is the UN an self defence. The Christian starting point is in protection of the innocent. He argued that self defence is not always a moral justification. For instance, Germany’s self defence at the end of the second world war as the allies pushed forward was not morally justifiable. Self defense is not a good in its own sake. It depends what you are defending, for what, and at what price. Protection of the innocent is a stronger staring point for just war than self defense. Another standout discussion was around the price of peace. This comes right out of the notion in moral theology that inaction can be wrong – the sin of omission. He spoke about the west’s decision to withdraw after pushing Saddam out of Kuwait in the first Iraq war and the consequence for the ethnic minorities he then slaughtered. The point being that when we talk about peace, whose peace do we mean? Do we protect our peace by not intervening, which allows another to enjoy peace whilst they end the peace of a third party and do terrible things? When we use notions of peace a key question is who enjoys that peace? You can listen to Nigel Biggar debating some of these issues on Premier Christian Radio from a link here. Is religious ethics, religious enough? Even more on the RS A Level consultation! 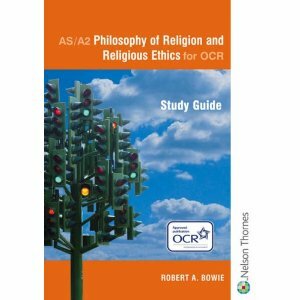 What about the argument that the current study of ethics does not help develop and understanding of religion? This seems to be behind some of the thinking of the consultation. It is striking that the proposal of a systematic study of religion includes moral principles of that religion, apart from the section on philosophy, ethics and social sciences. It is almost as if a notion of the secular and sacred underpin the proposed changes. I am not sure if this was concious but it is clearly there. One answer to this would be to strengthen the position of religious ethics inviting specifications to include religious understandings of dignity, religious rules and principles, social justice, duty and conscience, virtue and compassion, freedom and divine determinism for instance. These could be studied from the perspective of one (or two) religious traditions along with ideas of acts, ends, absolute and relative truth, ends and means etc, although it would require substantive curriculum time. I think it could resolve the question of whether ethics addresses and explores religious life as well as the pursuit of the good life. I was asked this question on Facebook. Here is one answer. I think there are lots of arguments related to popularity and teacher expertise. But I think we need an educational argument to be a clincher, rather than a market or professional argument (as both are always compromised one way or another). So the clincher argument for me is based on a presumption that the study of religion is the study of doxy and praxy, belief and action. My basic starting point is that some forms of some religions lean more towards belief as the main defining focus of what they are, others lean towards action but many have both components. I would suggest it is impossible to understand Christianity without studying action. Indeed the nature of love and the good is a central focus of Christian texts and Christian thought over time. 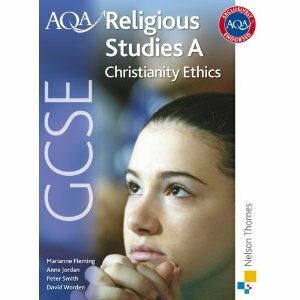 So the question is could religious studies safely ignore moral discernment and action (ethics) without taking a major feature away from the lens of study. For a study of religion not to have a focus on action means it is missing a substantive element of what it means to be religious in many religions and many belief systems. I can’t speak so confidently for geography. Maybe you can enlighten me there. However I would argue you cannot disregard ethics. Note I am not arguing that all students must study ethics at A Level at this point, but they should have an option to study it in depth alongside doxy. Note that I am not arguing our ethics specifications are perfect. They could certainly be improved considerably. But here my case is simply that the study or religion must include doxy and praxy and that ethics is key to praxy. This hits a number of ethical issues. (1) What is the moral culpability of programmers? If you programme the software that makes that decision are you responsible for any deaths? (2) Should those codes be determined by a en ethics committee, such as you find in hospitals, that approve or prevent the programme? Who should sit on that committee? (3) What does this say about the nature of freedom and morality in ‘pre’ conscious robots? (4) Should life taking be reserved for human action? Is there any moral difference between the soldier controlling a drone by remote and the technologist programme the remote to seek out targets? This weeks ethics starter for ten! I am making a case for depth of study – the sustained study of a subject that has intrinsic value in RE and more widely is for the common good, irrespective of the destination of the 24000 students that do it. Philosophy of Religion and Religious Ethics are two different disciplines. Combining them weakens them. To do ethics properly you need to be able to be able to do enough different theories to understand the main features of the theoretical landscape (acts, ends, virtue, free will, conscience and authority, self interest) to be able compare them (one of the higher level skills). This allows a student to critically evaluate the theory in conceptual terms. Then you can compare how they might apply to different kinds of moral problems (personal, societal and global), so at the very least you want to study three kinds of ethical problem. All of these interconnects completely with religious systems of ethics but also include non religious humanistic systems. Incidentally, the current question frames used by exam boards have not helped to draw out these expectations of depth and analysis adequately, in my view. Greater attention to how questions are set and how specifications are framed is the key issue here. A student progresses not just by studying more topics but by studying things that create new patters of meaningful interconnection and this is what happens in a disciplined study. I am not sure what kind of depth you can get to in jumping to a multi disciplinary study, but I am pretty confident you can’t get depth by combining topics from different disciplines. To me the PoR / Ethics combination undermines depth of study and rigour. I think that the text paper has a lot of potential for depth of study and rigour and the Religion paper might (many different disciplines and kinds of topics are being combined here too but I am thinking that one through). The Philosophy/Ethics/Social Sciences paper does not, as it stands, have depth of study and rigour, in a way that will improve on the current separate modules on PoR and Ethics. I also think it raises a key question about the kind of specialist who might be able to teach both of these topics. I wonder how many of our teachers have studied both PoR and Ethics at degree level. I would speculate that many of our subject specialist difficulties and indeed many of the pressures felt by teachers in general, come from having to teach subjects they are not so confident in. I worry that we might be deskilling our workforce by an unfortunate exercise in “combining”. My proposal is based on my analysis that the ethics component is really weak (see my earlier blog) indeed in the second section. It is weaker than philosophy of religion at AS and much weaker at the full A Level. The “Philosophical, Ethical and Social Scientific Studies of Religion” section at the moment is much less well developed than equivalent bullets in the other two areas. The whole section feels lighter than the others in demand and coherence. This would provide some ground rules for then exploring the theories and issues listed in the ethics line and the philosophy of religion line. This would allow for the teaching of a bit of Plato and Aristotle, say, a bit of absolutism and relativism, a bit of teleological and deontological ethics, so students had the language set to then explore issues and theories in the next two paragraphs. It would make clear what the ‘rules’ are. We would have more coherence. Without this addition students will have to jump into some theories and issues with no disciplinary framework. In my judgement this would weaken the intellectual credibility of the subject. 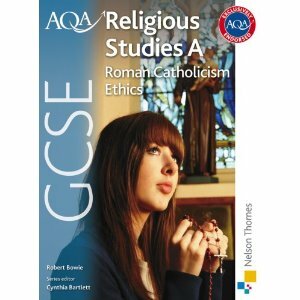 This makes sure the ethics studied as AS are normative whilst the ethics studies at A Level are meta-ethical. It also allows for crucial ethical contemporary debates in science to get a hearing such as the ethics of surveillance and online privacy. This is much stronger and would make space for psychological accounts of conscience for instance as well as religious experience. Add a new bullet to paragraph 12. This would strengthen the place of ethics at A level to an equal position with philosophy of religion. It would engage with the ethical language development. It would strengthen the focus on religious ethical thought.